Last year I came across an old article from Spain Gourmet Tour magazine describing the age dating system for sherry that was introduced around the turn of the millennium by the Consejo Regulador. Under the system, intermediate and oxidative styles of sherry can be classified as VOS (Vinum Optimum Signatum) or VORS (Vinum Optimum Rare Signatum), categories that define wines with average age of over 20 years and 30 years respectively. Embracing its Shakespearean heritage, it’s convenient that the terms are also abbreviations of ‘Very Old (Rare) Sherry’. Age is not everything however, and perhaps the most significant, but often overlooked, element to the Consejo Regulador’s classification is that the organoleptic qualities of the wine must be assessed by a tasting panel in addition to the age dating laboratory analysis. While the resultant classification is not an absolute guarantee of quality, it’s certainly a reasonably strong indicator in that direction. The offerings from González Byass are some of the more widely available VOS / VORS in Ireland and I recently picked up a half bottle of VORS Amontillado del Duque from my local O’Briens Wine store for €20. 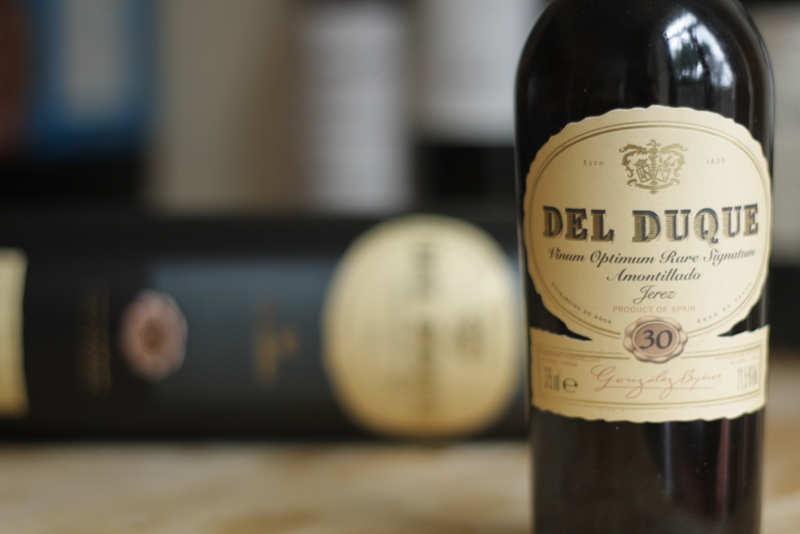 The name is derived from the fact that the solera was purchased from the Duke of Medinaceli in 1857. At 21.5%, it’s every so slightly higher in percentage alcohol than many run of the mill amontillados which come in at about 18-20%. Would you notice it? Well it sufficeth to say that once you go looking for it, it’s certainly not hiding sheepishly in the background and one could argue that it finishes a little hot. I didn’t mind this at all to be honest though and found the balance between the intense semi-sweet, salted caramel and dried fruit nose and the bone dry, full and rich palate was very enjoyable indeed. In my own, admittedly limited, experience of VOS and VORS, the increased age really manifests itself in terms of added intensity, complexity and length – this sherry excelled in all three of those aspects. Its length was particularly impressive (this seems to be the case for almost all sherries!?!) and although I enjoyed it as both a pre and post dinner drink, I wouldn’t hesitate to pair this alongside some hearty dishes in future. This range of VORS González Byass sherries is available in Ireland from O’Briens Wine starting at about €20 per 375ml bottle. A point to note however is that both the Apóstoles Palo Cortado and Matusalem Oloroso are sweetened versions of these styles.